Music legend Gary Wright reflects on his professional collaboration, friendship, and spiritual journey with "quiet Beatle" George Harrison, and releases for the first time a recording of a song they wrote together. In addition to featuring lyrics to a song cowritten by Wright and George Harrison in 1971, titled “To Discover Yourself,” this memoir includes a cache of never-before-seen photos. 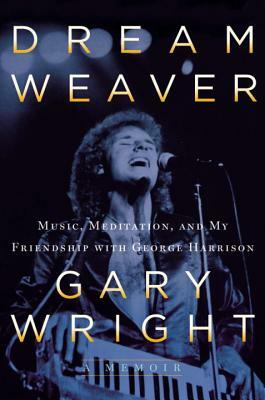 Gary Wright is known as “the Dream Weaver” because his brilliant talent, highlighted by the enduring song he wrote of the same name, is mixed with his deep belief and practice in Eastern spirituality. Wright tours with his band as well as doing unplugged shows and has also performed with Ringo Starr’s All-Starr Band. "Wright is descriptive, generous, and thoughtful in his reminiscences, and his book will appeal to music fans as well as those concerned with spiritual journeys and philosophy. Wright met George Harrison during the making of the former Beatle’s first solo album and formed a lifelong and influential friendship with him as both men shared enthusiasm for music, Eastern philosophy, and a love of travel. The author writes about his late companion with heartfelt emotion and chronicles their musical collaborations, a transcendent trip to India, and their similar philosophies of life." "This book has given me a personal window into a classic time in music history. Dream Weaver is such an inspirational piece of writing from a man who has so gracefully weathered the journey of being an artist."